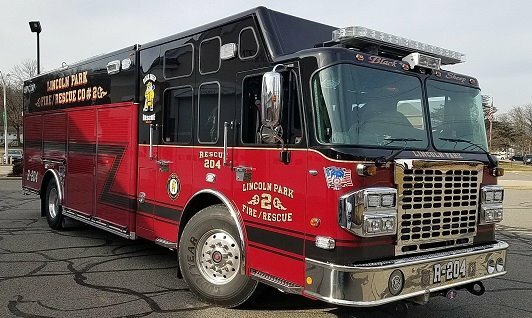 Lincoln Park EMS recently took delivery of a 2019 Ford F550, Horton Type 1 Ambulance. This new rig has four wheel drive and the latest technology, including blind spot cameras, crew safety restraints and airbags. We are currently training our members to drive this new and slightly larger vehicle, so you may see and hear us around town. 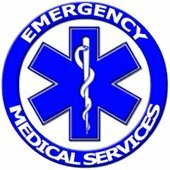 For more information on volunteering with EMS, please visit our website: www.lpfas.org or call 973-694-3304 Ext. 2921. The First Aid Squad and Fire/Rescue Hose Co. #2 would like to thank the Mayor, Borough Council, Administration and the residents of Lincoln Park for helping keep our volunteers moving & working safely so they can assist residents when needed! Please fill out the FORM and either mail to the Morris County Clerk OR drop off at the Clerk’s Office. Recycling Collection Requirements have changed. Please be sure to review the list of acceptable and non-acceptable material. Please do not put your recyclables in plastic grocery bags or clear garbage bags. When in doubt, please throw it out! The Recycling Yard will be closed in observance of Presidents Day. Rt #1 curbside recycling collection is rescheduled to Thurs, Feb 21st. Rt #1 garbage collection will remain the same. Fitness classes have resumed. Check out the 2019 class schedule to see what works for you. *New! Class Packages are "interchangeable", not specific to a single class. visit the LP Library at 12 Boonton Tpke or visit their website at http://www.lincolnparklibrary.org. General Meetings are scheduled for the 4th Wed of each month. All are invited to join us to see what is going on or how to get involved. Every year an alarming number of high school students, - approximately 1.5 million – experience physical abuse by a dating partner. Only 1 in 4 parents have ever talked to their children about domestic violence. We encourage everyone to break the cycle and start a conversation with their children. Too Cold to Walk Outside? “Walk with a Doc” at Willowbrook Mall in Wayne at the food court every 3rd Wednesday of each month at 9am. The first few minutes the doctor will give a brief presentation on an important health topic, then for the remainder of the hour, participants will go for a walk together. The program is FREE. Call 973-831-5475 for pre-registration. Walk-ins are welcome. Bring a friend! THANK YOU to everyone who donated coupons & items from the Shop Rite anniversary sale ! A huge thank you to Boiling Springs Bank for their generous monetary donation & all private citizen donations and an ongoing thanks to the parishioners of St Joseph Church & The First Reformed Church for their monthly donations. All money goes directly to purchase fresh fruits and vegetables for our families in need. The Water & Sewer Department is offering E-Bills. ACH DIRECT WITHDRAWL: The Automated Electronic Funds transfer program allows you to pre-authorize payment of your municipal charges directly from your checking or savings account through electronic funds transfer - with no paper check involved! To sign up for ACH Direct Withdrawal, visit the Finance Dept page to print the form. Please drop off or mail back to the Borough with a copy of a voided check. The owner or tenant of any land abutting a public highway, street or avenue in the Borough shall remove all snow and ice from the abutting sidewalks of such public highway, street or avenue within twelve (12) hours of daylight after the same shall fall or otherwise be formed or accumulate thereon. "UNDER THE SEA" 2019 FIRST AID SQUAD TRICKY APRIL 4, 2019 at the Bethwood in Totowa. Lincoln Park EMS will be having a Tricky Tray fundraiser on Thursday April 4th @ 6pm. The event will be held at The Bethwood in Totowa. Tickets are on sale now for $45 which includes one small sheet of prize tickets, dinner & dessert. If you purchase your ticket before March 1st you will get an extra sheet of small prize tickets. To purchase tickets please call 973-694-3304. IS YOUR HOUSE NUMBER VISIBLE? Help protect your family members and property by making sure the number on your house is clearly visible from the street. VITAL minutes can be wasted trying to locate EMS calls due to buildings not being marked at all, being marked with wrong numbers, or by markings that are not visible from the street. HELP us HELP you! CPR CLASSES: Interested in attending a CPR class? Contact us at 973-694-3304 x2910 and leave a message. And FINALLY…THANK YOU!! Many thanks to all of you who have supported and continue to support our great organization. Your donations during our recent solicitations is GREATLY appreciated. Smoke rises, so mount smoke detectors on the ceiling or high on the wall. Test smoke and carbon monoxide detectors weekly and vacuum them monthly. Follow the manufacturer's recommendations regarding battery replacement. Replace carbon monoxide detectors every five years and smoke detectors every 10 years. CHECK DATES AND BATTERIES TODAY! There are so many ways to stay in touch with the Borough and to get the information you need. Follow us on Facebook or Twitter or visit our website and look for NOTIFY ME. Non-Emergent Notification System sending residents information about town events, public works, recycling, health events, recreation and much more! In the event of an emergency in our area we may send out notifications. You may choose to receive the notifications through your landline telephone, cellular phone, text message or email. You may register for this free service at https://getrave.com/login/lincolnpark In order to register for text alerts, text LincolnParkAlerts to 67283. While text alerts will be utilized, we encourage you to also complete the full registration at the website above. If you have any questions please contact Officer Ruggiero at 973-694-5533. 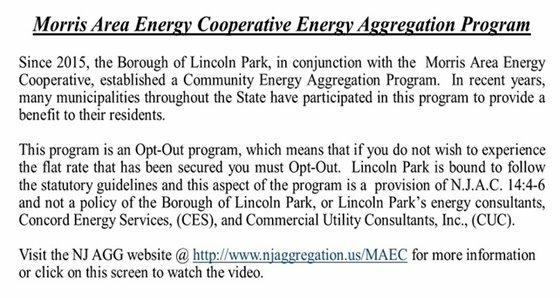 All content © 2006-2017 Lincoln Park, NJ and its representatives. All rights reserved.